In yet another incomprehensible numbering scheme, this is the Lipia 11. They often come up as Lipsia 11R, with the extra R signifying a backtransfer capability. 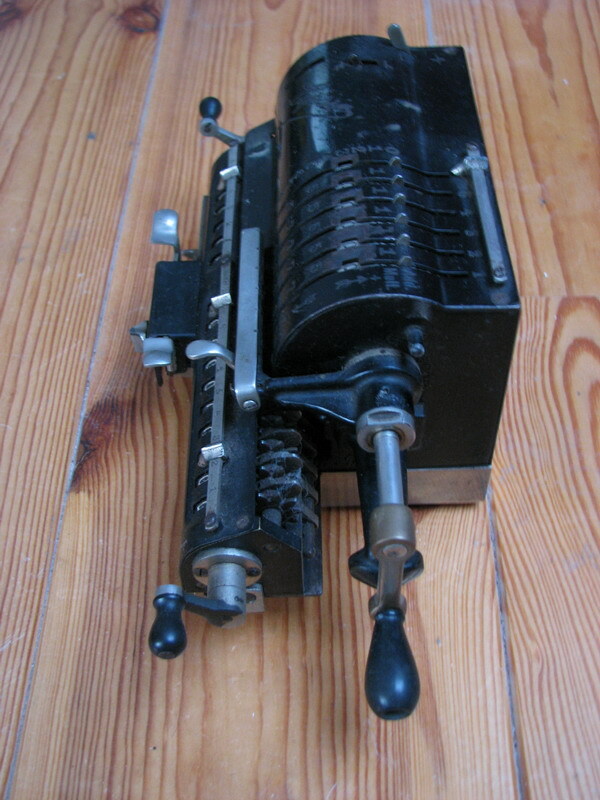 Since this machine lacks that functionality, it is simply a model 11. 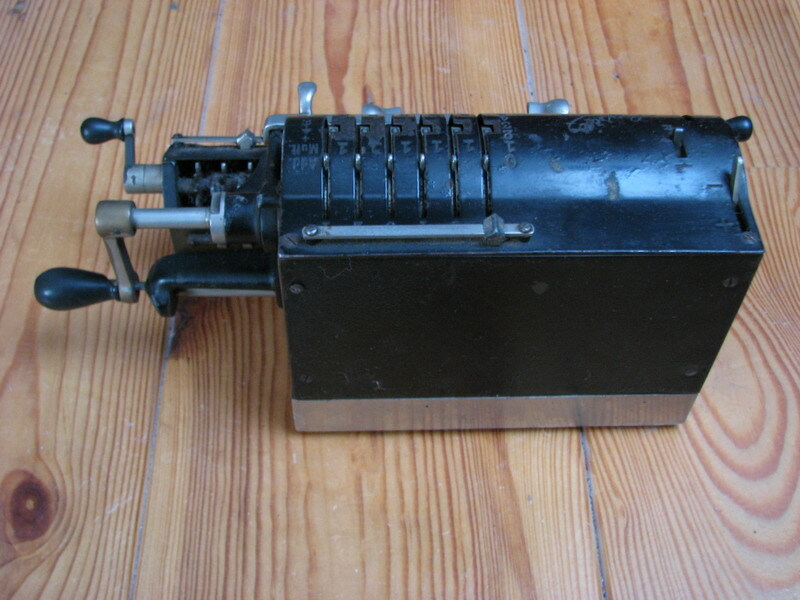 This is a more or less complete redesign of the earlier models, with as most salient features the setting control register which now peeks from in between the setting pins, 1874 Odhner prototype style, and the clearing cranks, which point perkily forward instead of the more regular stance vertically downward. 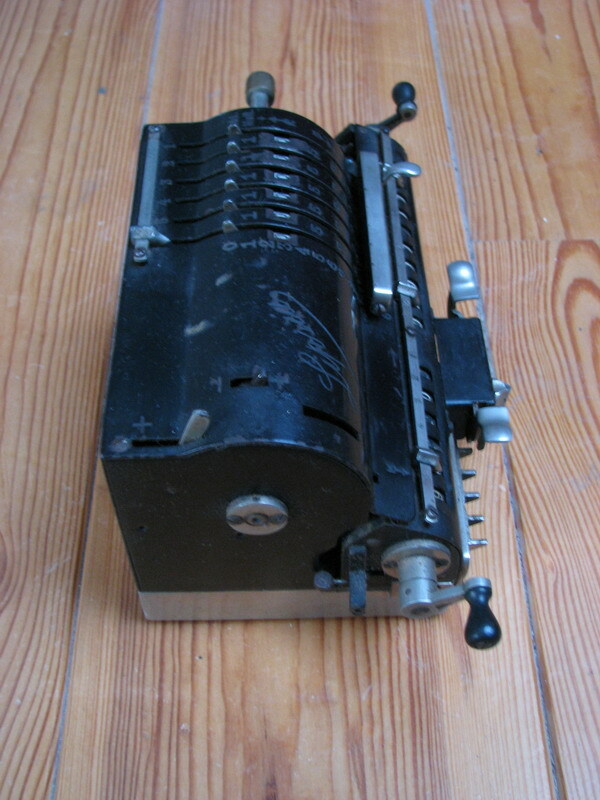 The puzzling holes at the bottom left of the top plate are needed for part of the mechanism to be able to rotate. When cranking the machine, parts will be seen rotating by, and for lack of a hole, they would interfere with the top plate. 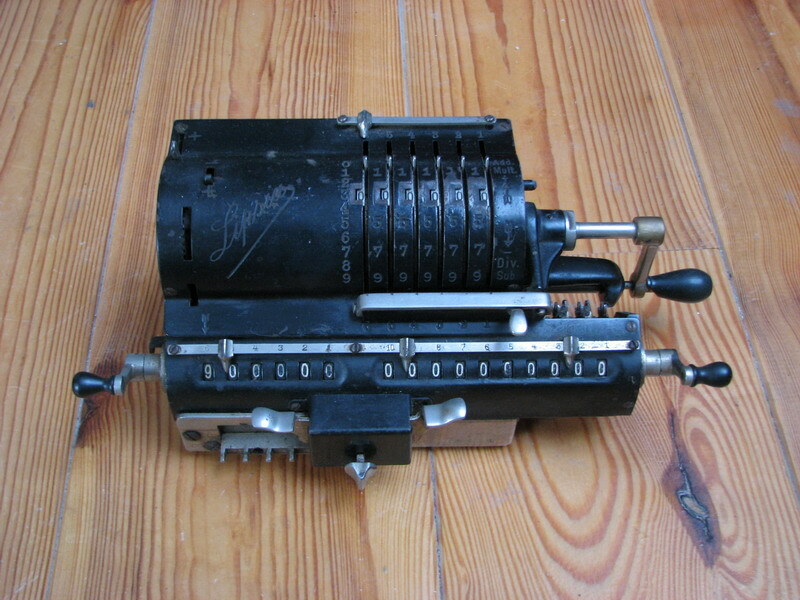 The large lever on the top left of the top plate selects the direction of rotation for the revolution counter (which has full tens' carry), the smaller +/- knob simply indicates the direction of rotation of the main pinwheel cylinder, and can be used to unlock the direction of rotation if part of a turn was commenced in error.